China is Iran’s largest trading partner, including oil and gas, along with billions of dollars in other products and services. On Friday, President Xi Jinping arrived in Tehran, officially welcomed by Iranian President Hassan Rohani. The visit was the first by a Chinese head of state in 14 years, Jiang Zemin the last one in 2002, early in the post-9/11 era, featuring endless US imperial wars, along with hostile anti-Russian/anti-Chinese policies. China is seeking to improve bilateral ties with Iran to start a new chapter of comprehensive, long-term and sustainable relations with the Islamic Republic. 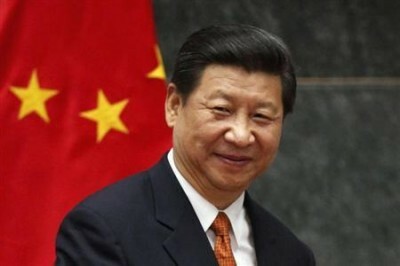 Notably, Xi is the first head of state to visit Iran since international sanctions were lifted on January 16. Putin visited Tehran last November, discussing enhanced bilateral ties going forward. In this visit, we have struck an agreement on planning for 25-year-long strategic cooperation and are ready to develop and deepen cooperation in all the various cultural, educational, technological, military and security fields at the level of strategic partners. He stressed the eagerness of China to enhance ties and cooperation with Iran. Chinese Academy of Social Science Middle East expert Yin Gang called his visit historically significant, signaling enhanced bilateral relations. “Iran is the place to prove China’s ‘One Belt, One Road’ strategy,” said Yin. Its potential is huge. Besides its huge energy needs vital to its economy, Iran’s large population (nearly 80 million) offers attractive potential for Chinese exports. In 2014, bilateral trade exceeded $50, Iranian exports totaling $27.5 billion in energy and other products. Chinese oil imports from Iran account for around 12% of its domestic needs, likely increasing ahead with international sanctions lifted. On Saturday, Xi met with Ayatollah Seyed Ali Khomenei. “Westerners have never obtained the trust of the Iranian nation,” he said. The government and nation of Iran have always sought expanding relations with independent and trustful countries like China. America’s approach is “dishonest” on all geopolitical issues, he stressed. Closer Iranian Eastern ties makes it less vulnerable to US-led Western hostility.